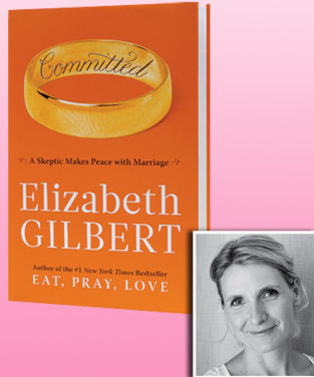 Elizabeth Gilbert's follow-up to Eat, Pray, Love is out! I can't wait to read it, especially knowing that she was unsatisfied with the first draft and threw it out before rewriting it entirely! How bold! There are a number of reviews, including this one in Elle and Marie-Claire. Ohhh...i can hardly wait. i've read the first one 3 times and heard her speak..i'm so looking forward to enjoying every word of the new book. thanks for the reminder.